One of the first things to consider when looking at wedding locations is the number of guests you plan to have and the mobility of those guests. For instance, if you are planning a huge over the top wedding for 500 people, that will probably limit the venues you have to choose from. However, if you are having a smaller wedding with 100 guests or less, that give you quite a few more possibilities for wedding locations. You also have to think about the guests you would like to have attend your wedding. Will your great grandmother be attending? If so, is she mobile enough to walk through the sand for your beach wedding? Also, if you are thinking about a destination wedding, will you be inviting friends with young children? You might want to re-think that African safari wedding if many of your friends have young children or large families that would need to travel with them. Are you wanting to have a religious ceremony? Many couples (around 50%) choose to have their actual wedding ceremony in a church. However, if you are considering a religious ceremony, there are some things to consider. A traditional religious ceremony may need to be held in a place of worship. You need to ask up front. If this is indeed the case, you will need to book your place of worship first and then book the location for your reception. Also, some religious establishments have rules on decorations and the bridal attire. 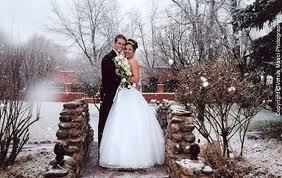 Some also have rules regarding the faith of the couple. If they differ, you may need to hold your ceremony at a neutral location such as a reception hall. How much work do you want or are you willing to do? Some venues such as beaches, parks, recreation facilities, etc. may require you to do all the work. This may be as minimal as putting up the decorations to as much as moving tables and chairs along with decorating the entire facility. While beach weddings are beautiful things, you generally need a permit and then have to rent chairs, tents, arches, etc. Unless you hire someone to do all these things, it is usually left to you and your wedding party. Not too much fun on your wedding day. You also have to keep in mind the weather if you choose an outdoor location. This would mean you will need a backup plan in case of foul weather. While having a truly unique location for your wedding may be just what you want, if you are not the do it yourself type or you don't have the funds to hire someone to do the work, you might want to consider a reception hall or hotel ballroom. Usually these types of venues do everything for you for one price. This includes set up and the all important clean up.